Reading: The New Potato. It’s my new favourite site for foodie features! Love the approach and aesthetic. Watching: BB’s final episode Felina, again. It’s still sinking in that Walt is dead. Listening to: A nicer version of We Can’t Stop. Laughing at: Brides who throw cats!! 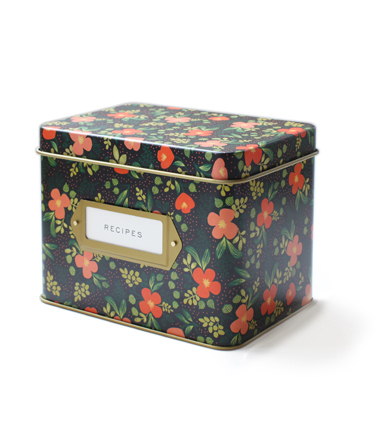 Loving: This pretty floral recipe box from Rifle Paper Co.
Felina. Anagram for Finale. Sigh.